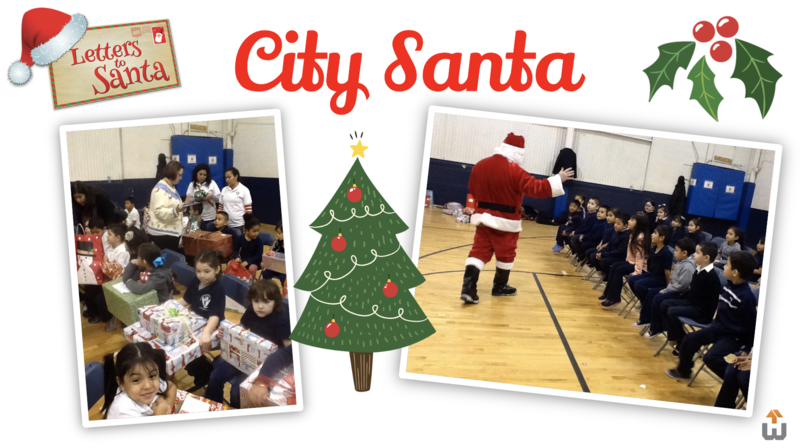 Since 2001, City Santa has been partnering with a Chicago Public School to buy presents for Children. 700+ K-4th Graders at Edwards Elementary School (4815 S Karlov Ave, Chicago, IL) will be writing letters to Santa. Make a child’s Christmas by sponsoring a class at your office (approximately 30 students per class). We’ll get the letters to you - you are responsible for delivering the presents to the students @ school the week before Christmas! Contact admin@hirewell.com for more details!